A new force is emerging in the world of sailing. 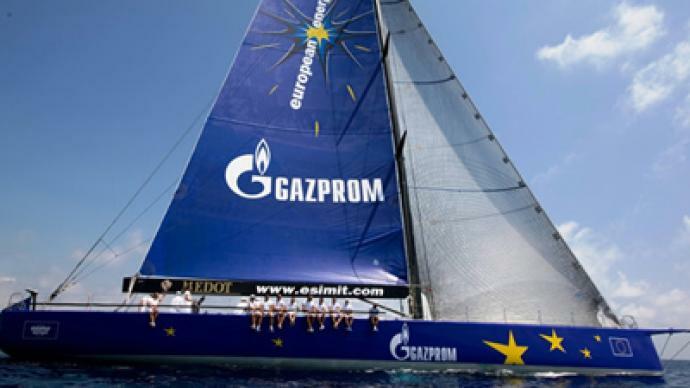 Russian gas major Gazprom, is bankrolling a European yacht and crew, who are already making huge waves in the sport. ­Emirates New Zealand, Allingi Switzerland, Stars and Stripes, you don’t need to dig too deep to see which part of the world got to celebrate their boat's success at the America's Cup and other competitions. But a whole continent of sailing fans has had reason to join together in celebrations lately. They watched as the Esimit Europa boat crossed the finish line first in numerous competitions, while representing the entire European Union. 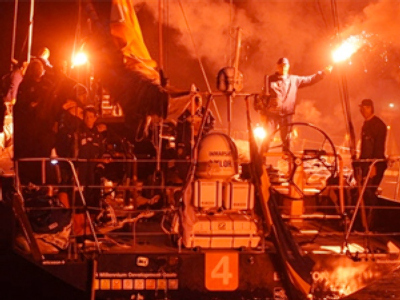 The team is really an all-star crew of renowned sailors, skippered by two-time America's Cup and three-time Olympic champion Jochen Schumann, and supported by the world's largest natural gas extractor Gazprom. Nothing short of high-tech brilliance would do for such a cast of characters, with the boat fittingly being considered the fastest supermaxi monohull in the world. The 24 international crew members have been able to get every last knot out of the technological wonder, taking line honors at every event they've been in 2010 and 2011. The 2009 Sydney to Hobart and Transpac Races and the 2010 and 2011 Giraglia Rolex Cup just the tip of the iceberg in terms of honors earned by the boat. Igor Simcic is the mastermind behind the project. 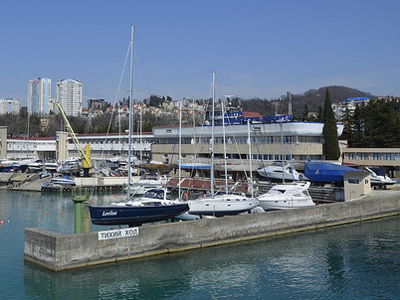 The Slovenian has been nurturing the idea of continental unity in sailing since 1995, with European Commission President Jose Manuel Barroso, eventually, signing off on the ambitious project. He pitched the idea to Gazprom CEO, Alexey Miller, back in 2006 and procured a boat he felt was worthy of the logo of Russia's largest company three years later. Simcic, however, is well aware that his brainchild needs to win some of the world's more prestigious events to truly bring his cause to the fore. The project's founder now hopes it can bring about smoother sailing when it comes to cooperation in other areas. The super-boat is aiming to make waves on the continent by promoting superior business and diplomatic unity.